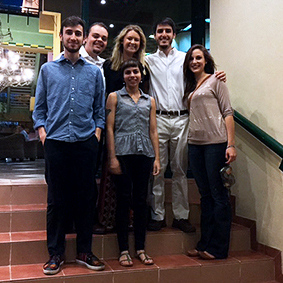 Six students spent the spring 2015 semester in Cuba. From the May 2015 Desktop News | A group of UA students recently returned from spending a semester studying in Cuba, where they learned about U.S./Cuba relations and history and visited historic sites, including the Bay of Pigs and the Hemingway House. Six students were enrolled in the study abroad semester, which ran from Jan. 28 to May 3. “Study abroad is a vital part of any student’s education,” said Mike Schnepf, professor in the Department of Modern Languages and Classics and faculty advisor for the UA in Cuba study abroad program. “Not only do students enhance their understanding of geopolitics, they also learn to appreciate the many advantages and opportunities they have had. In the case of Cuba, these two points are especially true. The normalization of relations between Cuba and the United States is now attracting the attention of the entire world. Each day we read some new bit of information in the state newspaper or hear on Cuban TV about how the process is evolving. While in Cuba, the students took three classes together: Cuban culture and civilization, U.S./Cuba relations, and a roundtable course featuring guest speakers such as Javier Sotomayor, the current world record holder in the high jump and winner of the 1992 Olympic gold medal for the event in Barcelona. They individually selected a fourth class taken with Cuban students at the University of Havana. The students also produced semester-long projects that covered topics such as the Cuban medical system, Cuban film, politics, the role of women in Cuban society and music. Kyle Jones, a junior political science and Spanish major from Anderson, South Carolina, said he was surprised by how warm and receptive the Cuban people were when meeting American students. Regarding the normalization process, Jones said Cubans were excited, but realistic. “Whenever you talk to a Cuban about normalization, they will often use the phrase ‘Ojala que,’ God willing,” he said. “They also talked about their belief that normalizing relations will improve the quality of life for all Cubans and that there will be much more money and tourism coming to the island as a result. Michael Goetsch, a senior biology and Spanish major from Huntsville, Alabama, also recognized differences between how Cuba is portrayed in the United States and his experience of living and studying in the country for a semester.  For more information about the semester in Cuba program, visit www.uaincuba.as.ua.edu.